Have you read the Leven Thumps series by Obert Skye? Then you’ve probably read Pillage even if you’ve never picked it up. Does that make sense? Let me explain. Leven Thumps: boy finds out he’s special, finds a magical world, goes on an adventure. 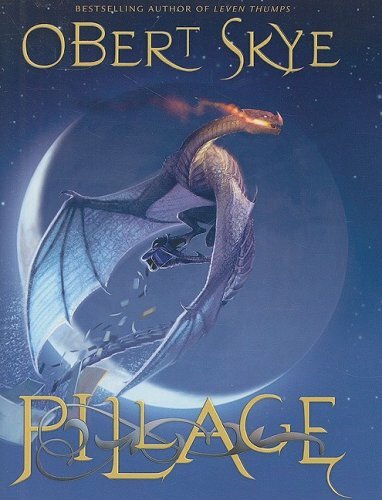 Pillage: boy finds out he’s special, hatches dragons, goes on an adventure. NOT that this is a bad thing. I really liked Pillage. I thought it was a short, breezy, fantasy read. Nothing too special about it, but good anyway. If you like dragons, you should definitely give this book a try. That makes perfect sense. I was going to read this, but now I'm hesitating, because I read the latest Leven Thumps and wasn't very interested. The cover looks eerily like Dragon Rider's cover. ѕkіlled blogger. I've joined your rss feed and look forward to seeking more of your magnificent post. Also, I have shared your site in my social networks! а huge readers' base already!